The vast amount of accessibility on the internet today is both a blessing and a curse. You can use the internet to find information on just about anything, subscribe to that information so it is delivered to you on a variety of platforms, and connect with just about everyone throughout the world. But with that ability comes the burden of information overload. We have tons of information coming out us every day from the sources we effectively opt-in to (blogs, news networks, social media connections, email lists, etc.) and the sources we sometimes cannot opt-out of (advertisers, spammers, etc.). The moment you turn on any device that is connected to the internet, you turn on an endless stream of information that can either help you or hurt you. When that information overload starts to hurt in terms of unnecessary interruptions and distractions, there is help. In this post, I’m going to share five tips to beating information overload from all sources. Many websites, apps, tools, platforms, social networks, etc. 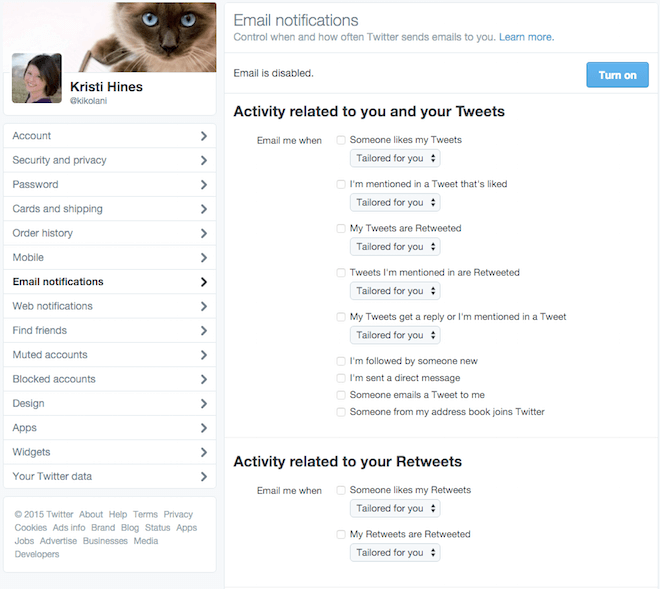 encourage users to opt-in to notifications. 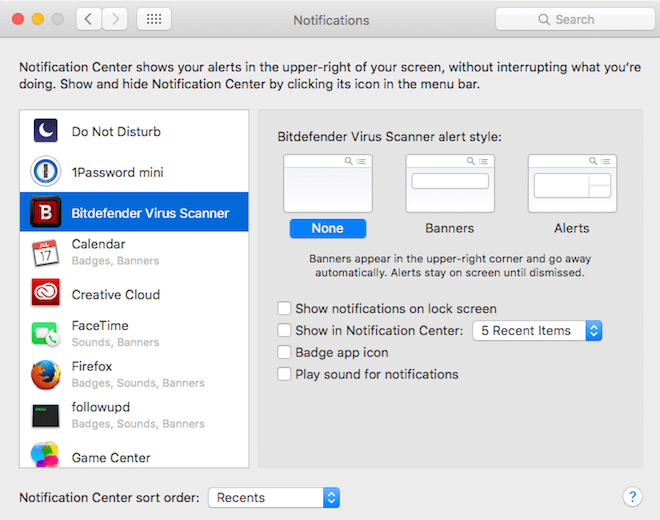 In some cases, you may need those notifications, but in many cases, you probably don’t. Start by turning off notifications that are not absolutely necessary for personal or professional needs on your devices. Next, think about the notifications you get when logging into social networks. Take Facebook, for instance. You can go to your Notification settings to see what general items you will get notified about. You can also click on the notifications globe icon at the top right of your screen, scroll through the list, hover over a notification, and see if it offers an option to turn it off or reduce notifications. Getting tons of emails from Twitter? Turn those off in your Email Notifications setting. Getting a ton of emails from LinkedIn groups? Go to your group digest email frequency settings to configure all of your group email settings on one page. After checking your social networks, think about the apps and tools you use. Many have custom notifications or alerts sent by email that you may not necessarily need. Visit those apps and tools to find their email notification settings and configure them appropriately. Alternatively, look at the emails you are receiving from apps and tools to see if they have a link that will take you directly to your email notification settings and use that. Usually you will find it at the bottom of the email. 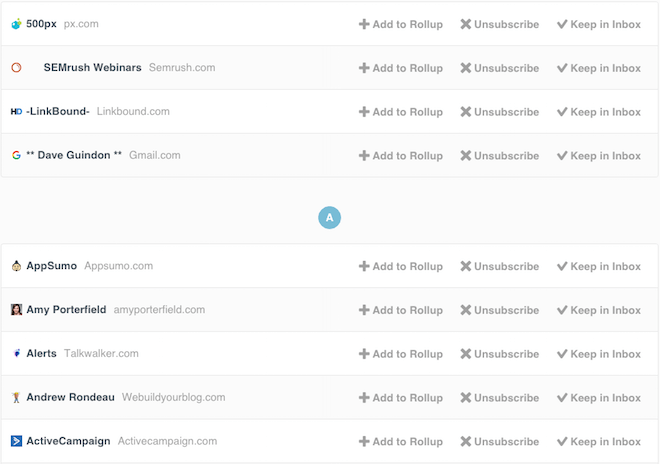 Speaking of email notifications, what about all of those email lists you’ve subscribed to? If you get a lot of email regularly from the same people or businesses and find yourself archiving or trashing those emails without reading, it’s time to get rid of them once and for all. You can do that with Unroll.me, a service that works with Outlook.com (including Hotmail, MSN, & Windows Live), Gmail, Google Apps, Yahoo! Mail, AOL Mail, and iCloud. The service scans your inbox and identifies emails that are sent through automated means (email lists, notifications, etc.). In other words, any email that is not personally sent from someone else to you is discovered by this service. Once your inbox has been scanned, it will give you three options for each subscription. You can add it to your Rollup, which is a daily digest that delivers all of the emails from subscriptions you have selected in one email. You can unsubscribe from the subscription completely. Or you can keep the subscription as it is in your inbox. Note that if, down the road, you have any issues getting subscribed to a email list, it might be because you have used Unroll.me to cull it in the past. So be sure to check this service if you notice any issues. Maybe you are wary about turning off your notifications or unsubscribing from email lists because you don’t want to miss out on news from your favorite sites. If that’s the case, you can cut down on your information overload by collecting your news in one place. For example, Feedly is a tool you can use to subscribe to multiple news sources via RSS feed. Combined with Google Chrome and the RSS Subscription Extension, you can use it to subscribe to most of your favorite blogs and news sources all in one place. This means you can stop signing up for emails, notifications, or other methods of getting the latest content and start getting the content when you want it. From here, you can subscribe to your favorite blogs and news sources in two ways. You can start by searching for the source in Feedly. Or, when you visit your favorite sources, click on the RSS icon that appears in your Google Chrome address bar. In some cases, you will get a few options to choose from. The top link will usually be the one that is a full RSS feed of everything posted to the site. In some cases, you will get sent directly to the site’s only RSS feed in Feedly. In either case, you will need to click on the +feedly button to confirm that you want to subscribe to the source. For sites that publish a lot of articles, you may want to look at specific category pages to see if they offer an RSS feed for just articles within that category, like they do on Business Insider. You can also try doing a Google search for the site name and RSS (like CNN RSS) to find pages where RSS feeds are listed by topic. In that example, you would need to copy the RSS feed link and paste it in Feedly’s add subscription box. In addition to blogs and news sites, keep an eye on your Google Chrome address bar for the RSS feed icon or on the page for RSS icons or links. You may find other sources of information that can also be added to Feedly, such as new threads in your favorite forums. The key to keeping your Feedly from becoming a source of information overload is purging your subscriptions on a regular basis. For example, when you realize you’ve skipped over the last month’s worth of articles from a particular site, it’s probably a good time to remove it. Do this by clicking on the name of the site and then clicking on the settings wheel to remove it from your Feedly. 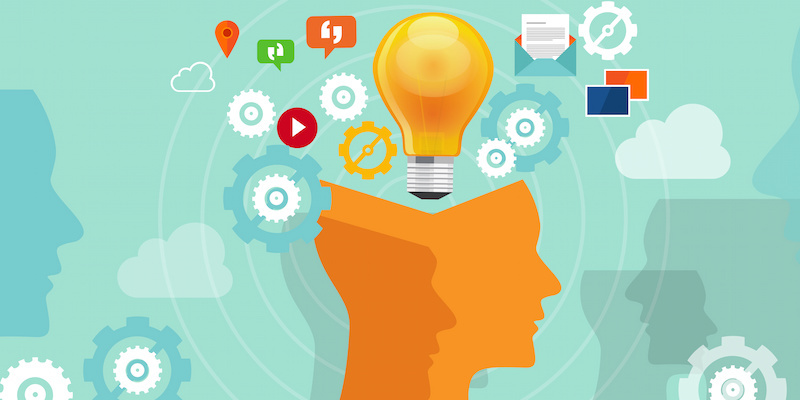 Social media news feeds can become a nightmare in terms of information overload. Fortunately, there are ways to unfollow specific sources of information to ensure that your news feed is one that you actually want to see. In Facebook, you have a few options. Whenever you see a post you don’t like in your news feed, you can click on the dropdown arrow at the top right of the post. This will give you various unfollowing options including unfollowing the profile, the page, or the source. 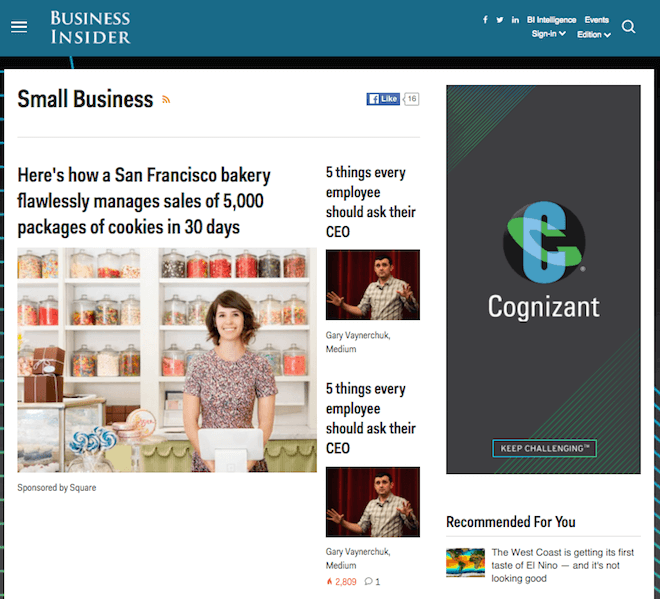 For ads, you can hide the ones you don’t like to make room for ones that you might like. Another way to create a better news feed is to put certain profiles and pages at the top. You can do this by liking a page, hovering over the Liked button, and clicking the Posts in News Feed. There, you can choose to see posts from the page first. On profiles, hover over the Following button and click on the option to See First. This works for both friends and people you follow only. 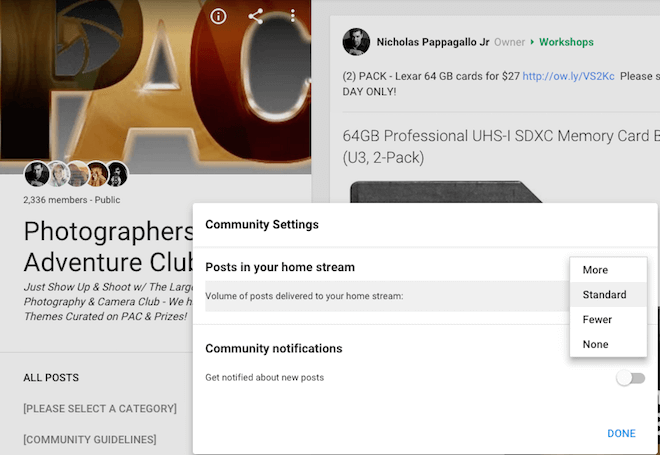 With the latest updates to Google+, you can customize your news feed in a few ways. First, you can put the profiles and pages you want to see updates from in one circle by clicking the Follow button and checking the circle you want to add them to. Then go to your Circles and click the Following tab. There, click on the three dots next to each of your circles and then click on the Circle Settings. Click on the dropdown next to Amount of posts in your home stream and select More for the circle you want to see most. Turn other circles to None to never see their updates. If you’ve joined communities (groups on Google+), you will need to go to the settings for each of them by clicking on the three dots at the top right of their photo. Then configure the options on how much you want to see from them in your news feed. On most other networks, you will need to unfollow or otherwise remove your connection from profiles or pages to stop seeing their updates in your news feed. After you’ve done all of the above four steps, your final option for beating information overload is to simply unplug. Or, in a wireless world, turn off your device’s internet connection, turn on the do-not-disturb, or put it into airplane mode. This will silence most of the notifications you still have turned on so you can focus on meditation or the things you need to work on without interruption. If you can afford to take a few days off the internet, do so. Chances are, you will come back with a fresh frame of mind that allows you to turn off more notifications, alerts, and other incoming sources of information so you can focus on what matters most.